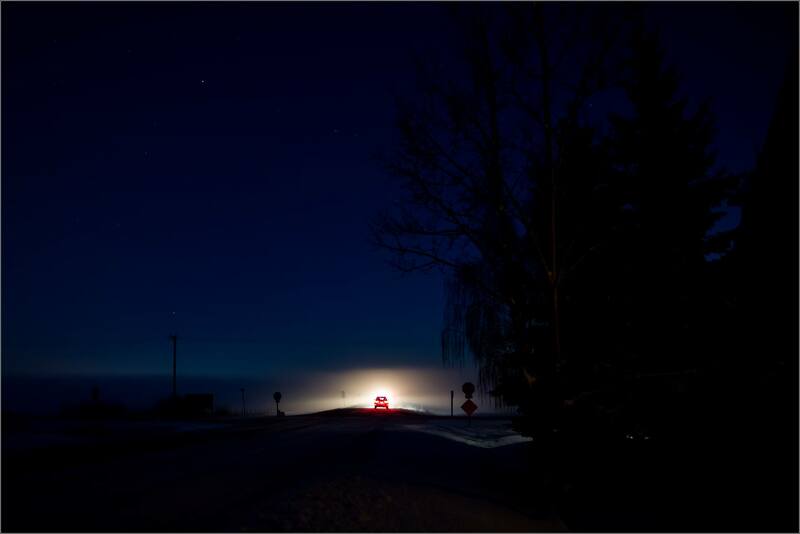 Vehicle lights stretch across the scene during a two second long exposure. I set up across the road from this farmstead and the sign. I took a few photographs of the passing traffic. I liked this one as I thought it had beautiful tone and good luck with the interesting light trails. 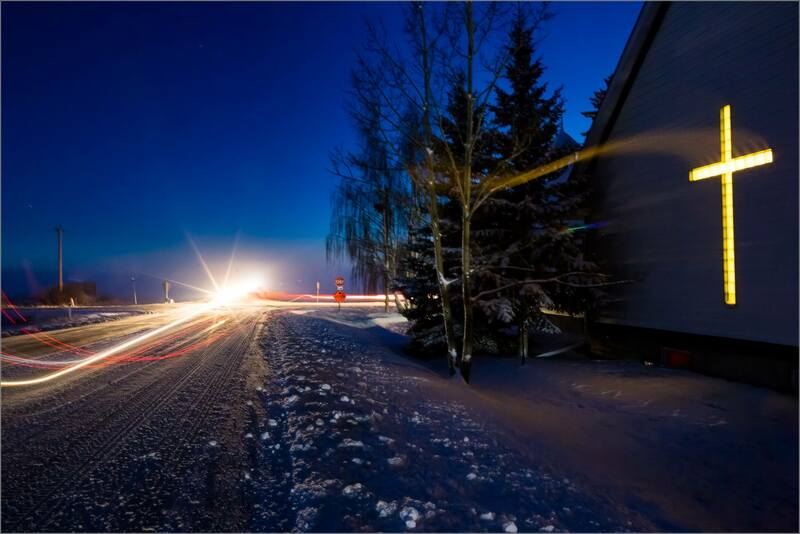 A photograph an hour after sunset from west of Calgary near the Springbank Airport taken on December 15th. 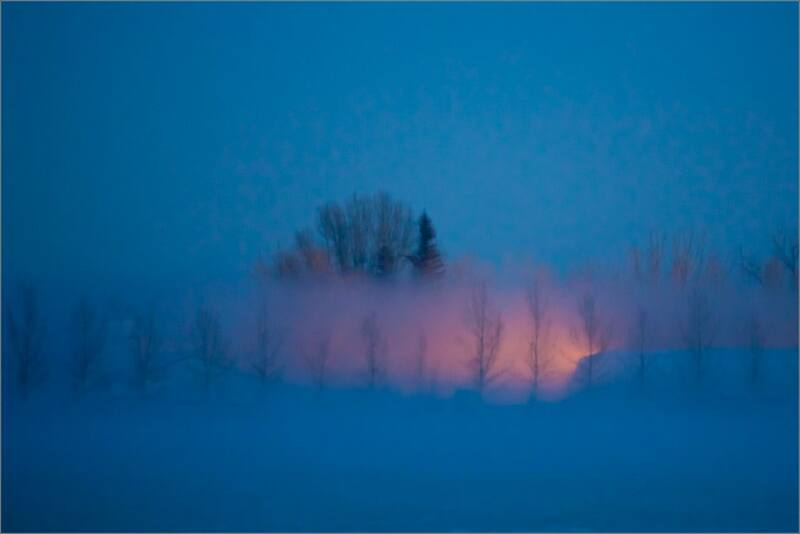 During a cold night in November where ice fog spread low around the Springbank Airport west of Calgary, I photographed around the area for a couple of hours. 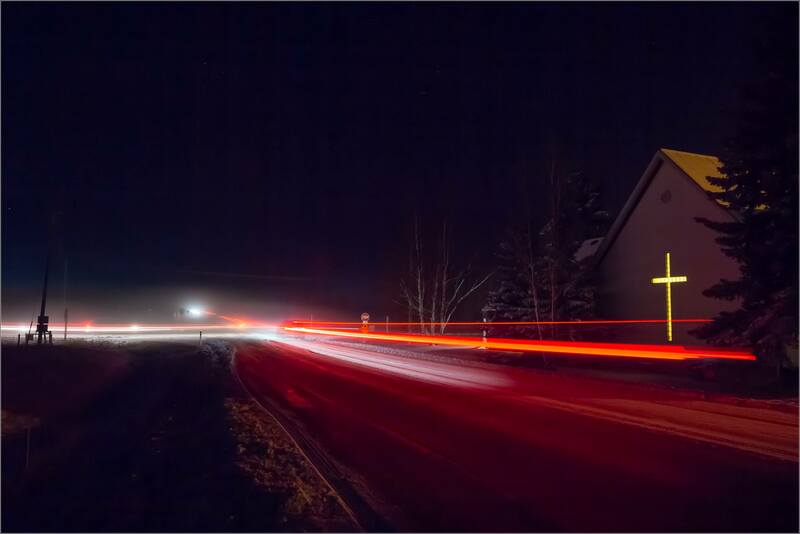 I started capturing light trails from traffic going through the intersection where the Springbank United Church stands. 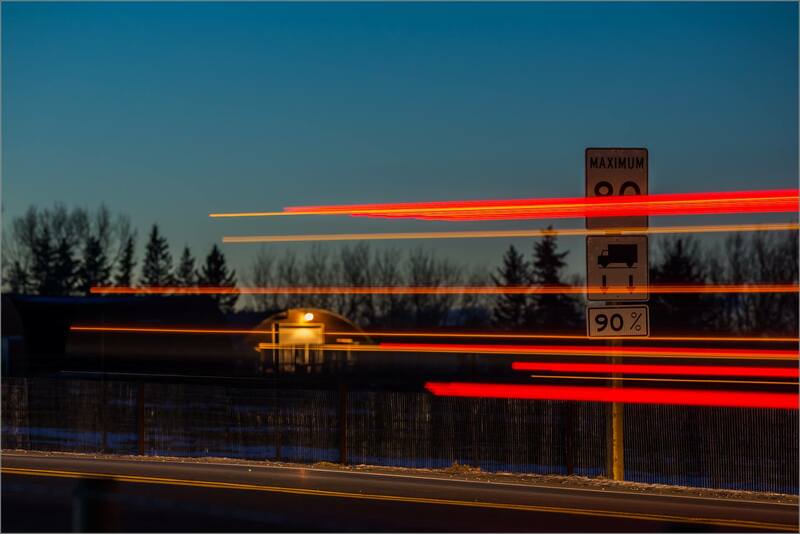 Most of these exposures were close to 20 seconds to allow the vehicles to pull their lights through the scene. 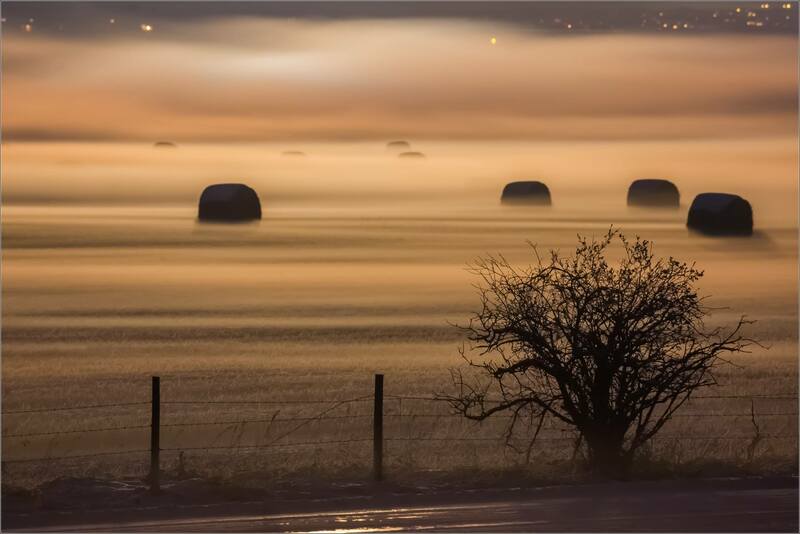 Later I moved towards farm fields nearby and caught the moon as it rose out of clouds and shone over the mist. The intensity of the nearly full moon allowed for shorter exposure times which suited me well – my hands were chilly by then and I was ready to pack it in soon after. The sun climbed over Springbank hill while I was heading into the city a couple of weeks ago. I stopped at this stand of aspen with its blend of broken trunks, spidery branches and open canopy which I thought would provide an interesting frame for the sunrise. I found this Highland bull on a fold west of the Springbank airport. He was scratching an itch along the broken planks in the corral when I stopped. He raised the horns, huffed and stared at me from under his dishevelled mop. Seemed like he was the master of his domain and he wasn’t particularly interested in my intrusion into it. A good character to photograph and then part ways with. A couple of days ago I spotted this bald eagle balanced atop a telephone pole. 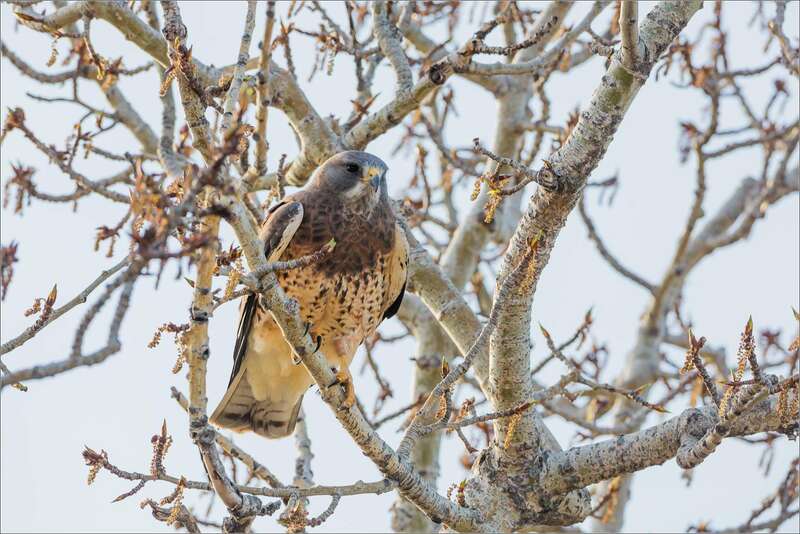 He was watching a small conspiracy of ravens gathered on a snow pile on the edge of a field in Springbank. After a few minutes his curiosity seemed to get the best of him and we launched towards the group. He spiralled above them for a moment but must not have seen anything too appealing as he landed on another telephone pole instead of amongst the ravens. Maybe it was just to have a closer look before deciding. 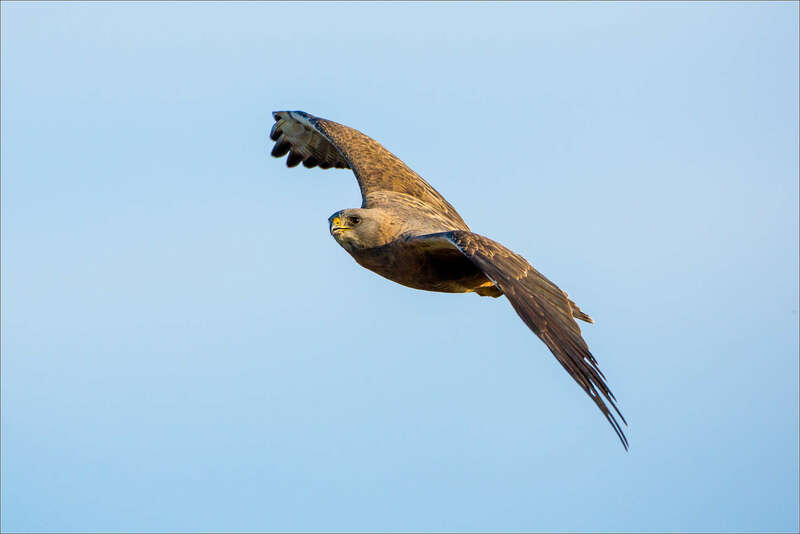 Either way he decided not to stick around for long and flew a couple of hundred metres away and into a stand of trees isolated in middle of the field. The evening light was soft and warm last night. I loved the colour in the coats of this small herd in Springbank. 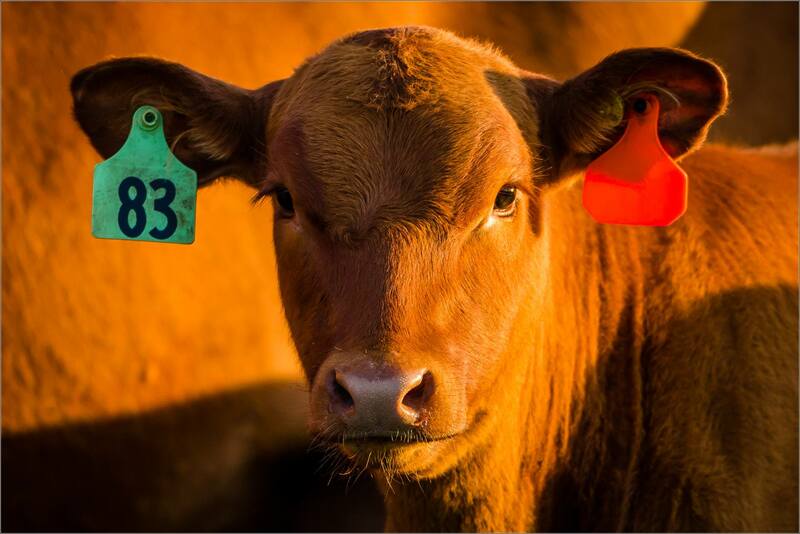 #83 was particularly interested and turned out to be particularly photogenic. 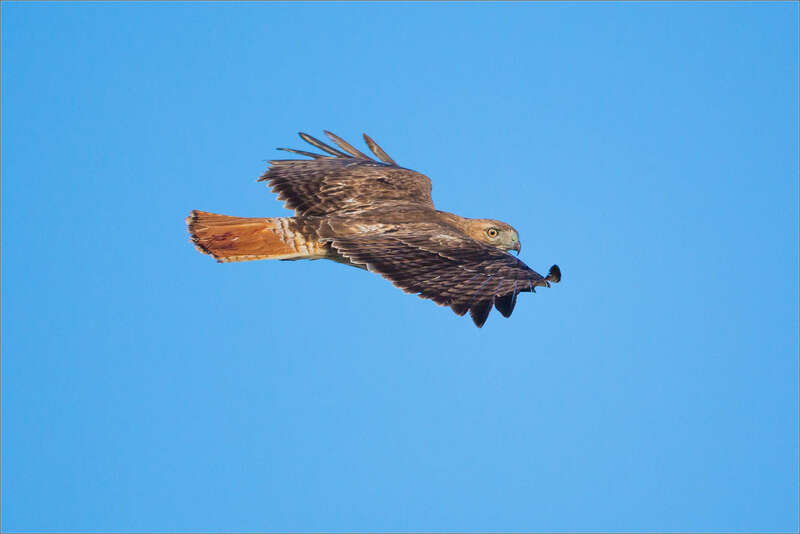 With spring sprung, there are an abundance of hawks wheeling in the sky over the Prairies now. 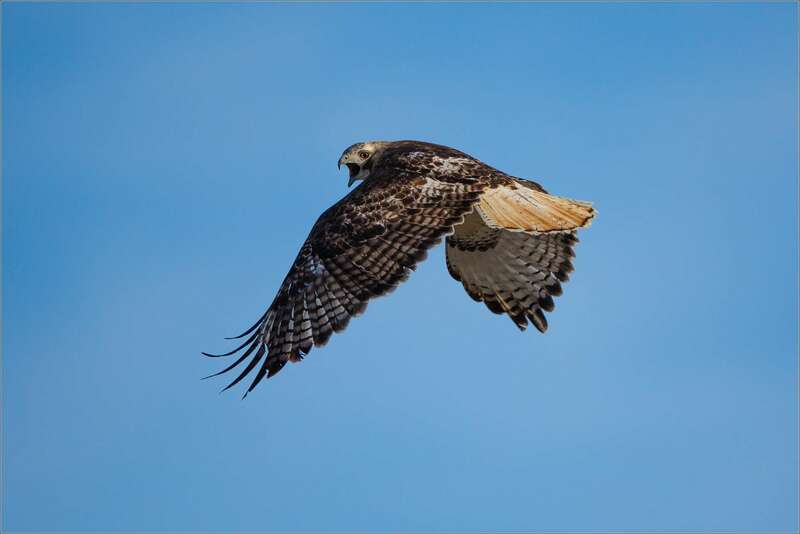 Through the winter, the Rough-legged hawks had the air to themselves and now Red-tailed, Swainson’s and Broad-wings have joined them. This dark morph Swainson’s was beautiful and wheeled around me for a couple of turns. 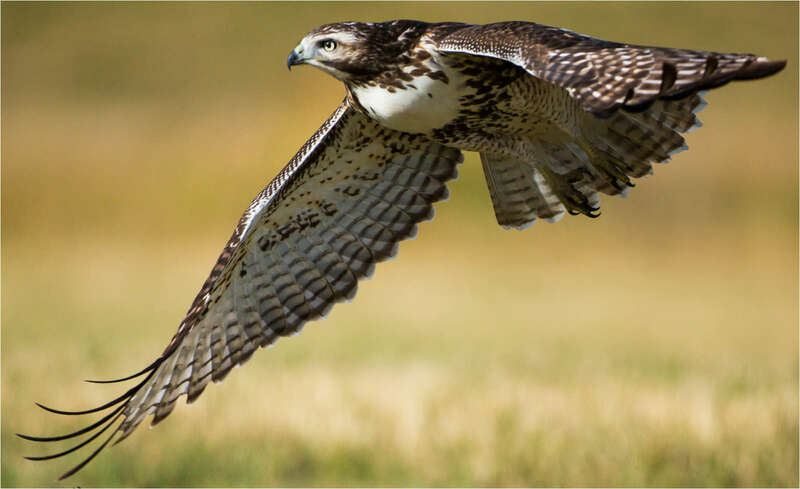 This Red-tailed hawk screamed at me when I stopped to photograph it flying over the fields. 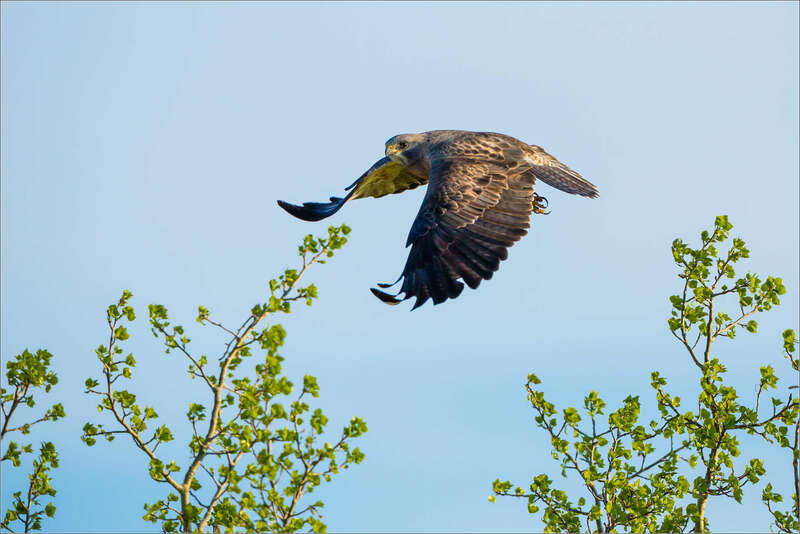 It flew beside me and let loose one of the shrieks that Hollywood still often uses to dub over the Bald Eagle’s less impressive one. Another Swainson’s launched out of this tree and looked beautiful in the warm, evening light. One other Red-tailed watched me out of the corner of its eye as it glided past but saved any vocalizations for another time. This hawk was one of the few I saw that wasn’t flying. I did not see a nest nearby so I think the bird was just taking a break from hunting. 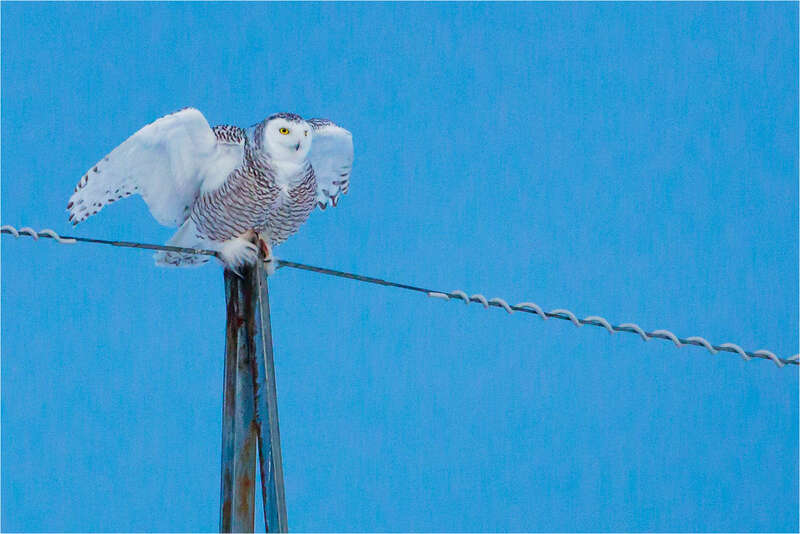 Snowy Owls in Springbank? Yes! 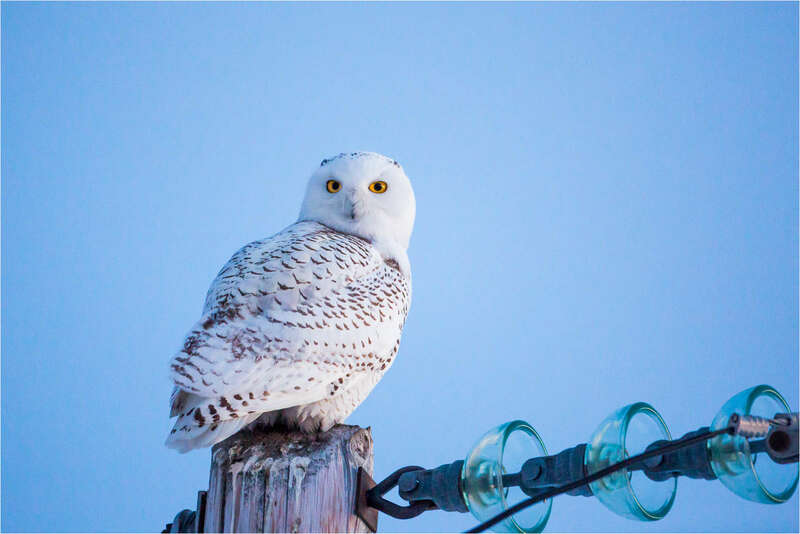 The days between Christmas and New Year’s have involved watching a pair of Snowy Owls in a new location. 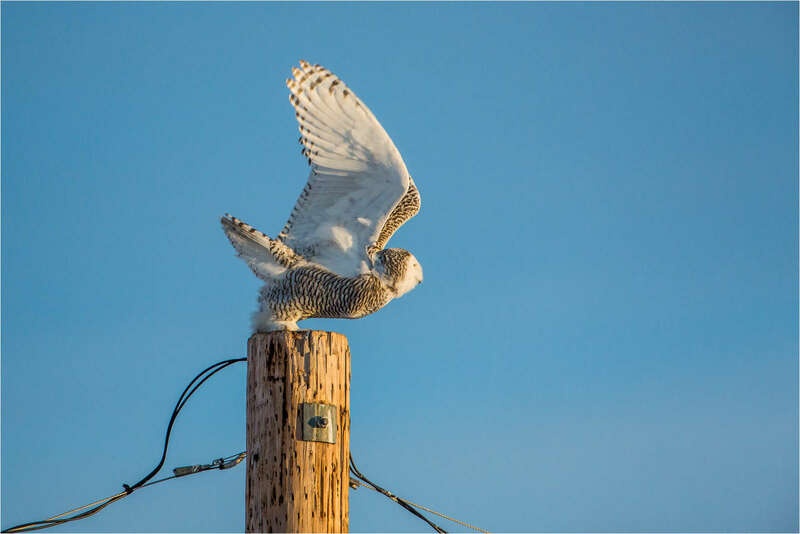 Thanks to a sighting near Calaway Park shared by Andrew Hart with the Alberta Bird group, I drove along the back roads in the area looking for one of these majestic owls. It was near sunset when I found the first one along Range Road 40 on a transmission tower. The bird was a long way from the road and even with a 500mm telephoto lens plus a 1.4X extender (for a total of 700mm of reach) the two images below are cropped in significantly. With failing light and a settled bird, I left this one and headed east towards the Springbank Airport. Across the road from the airport, I saw the white oval of a second Snowy perched as seen above. This owl was much closer which helped tremendously given how dark it had become. Despite the title and the pose, the owl did not fly after this shot. It was readjusting its body by a quarter turn to the east and ended up staying in the position below until sometime after I left. 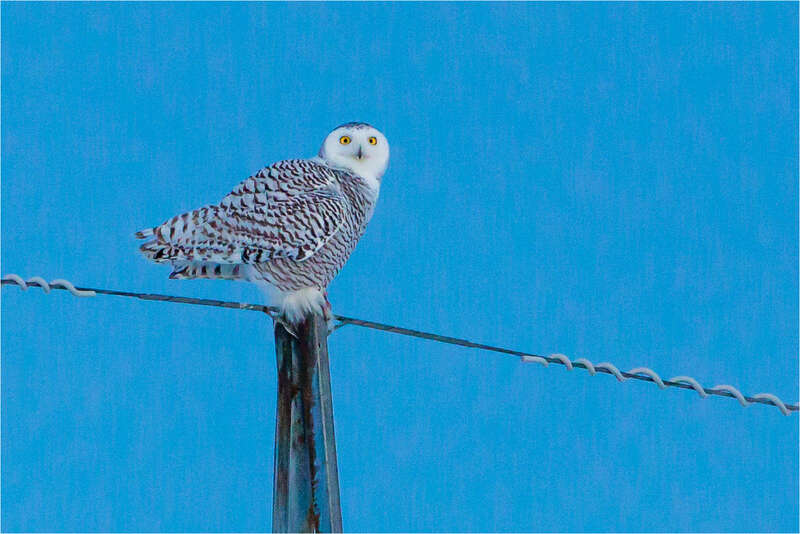 My wife and I went past the airport the next day and found one of the owls perched alongside Township Road 250. 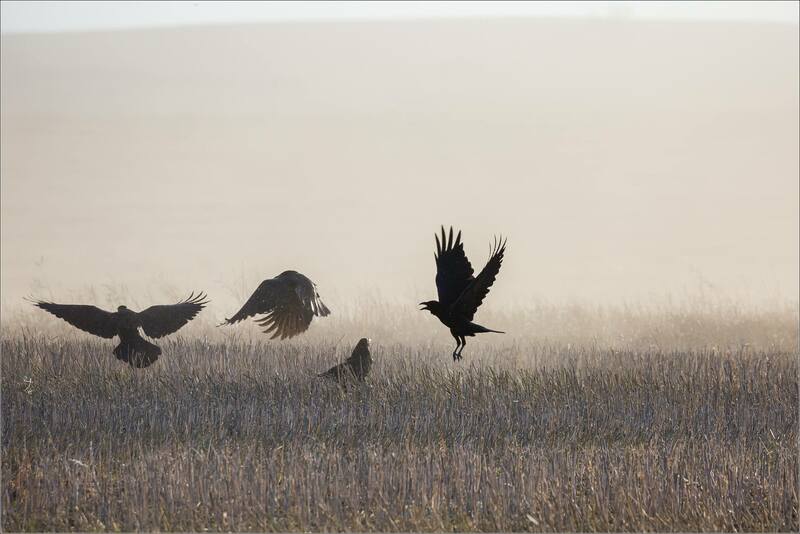 The hunt seemed ready to commence but a raven flew by and spooked the owl into a short flight across the field (and beyond my lens’s range). It was wonderful to see one of the owls glowing in the beautiful winter light. I was unable to go that way today however my wife did and she watched both of the owls perching, hunting and jousting with a raven. I’m hoping they settle into the area and spend their winter here. 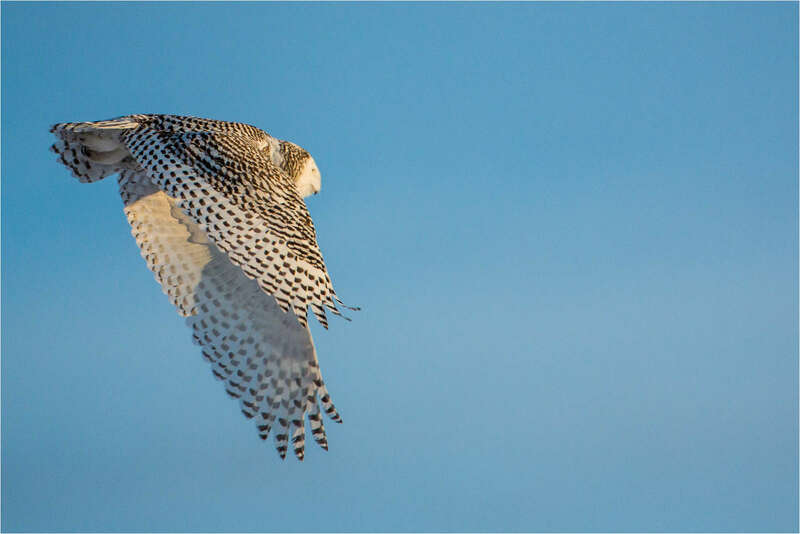 Last spring my searches for Snowy Owls took me out to Langdon and on towards Brooks so it’s nice to save the couple of hours driving there and back for more time photographing these owls (as well as the coyotes, eagles and hawks which normally hunt in the Springbank Airport area). 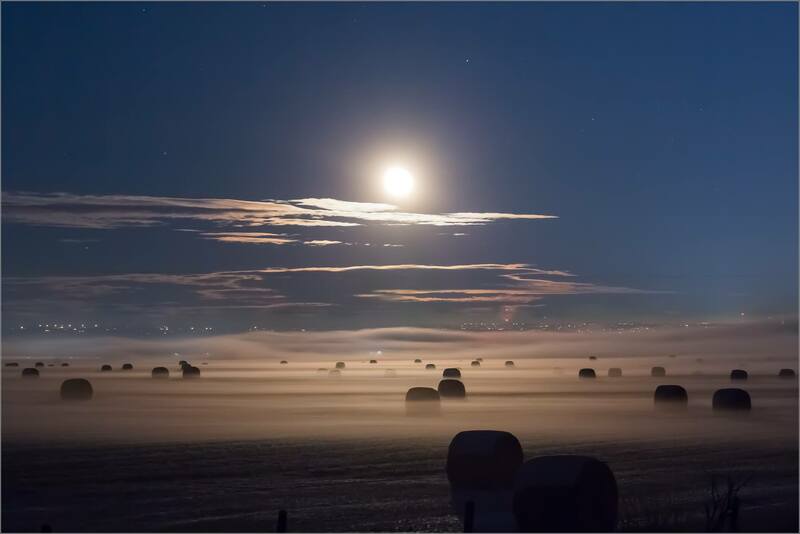 The crops around the Springbank airport have all now been harvested. This leaves the fields shorn bare except for the uncollected bales of hay. 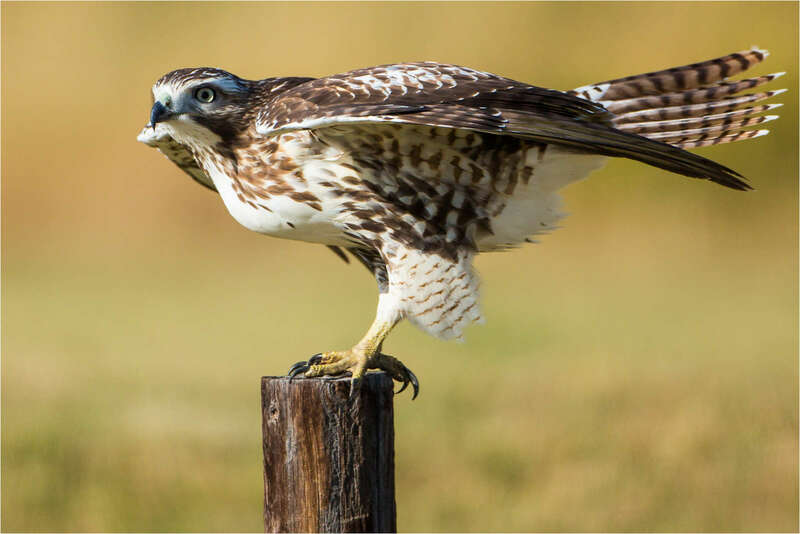 The attraction drawing hawks is the exposed ground which presently offers little protection for field mice and the like. I have spent a fair bit of time walking and driving along the range roads to photograph some of the activity while it lasts. 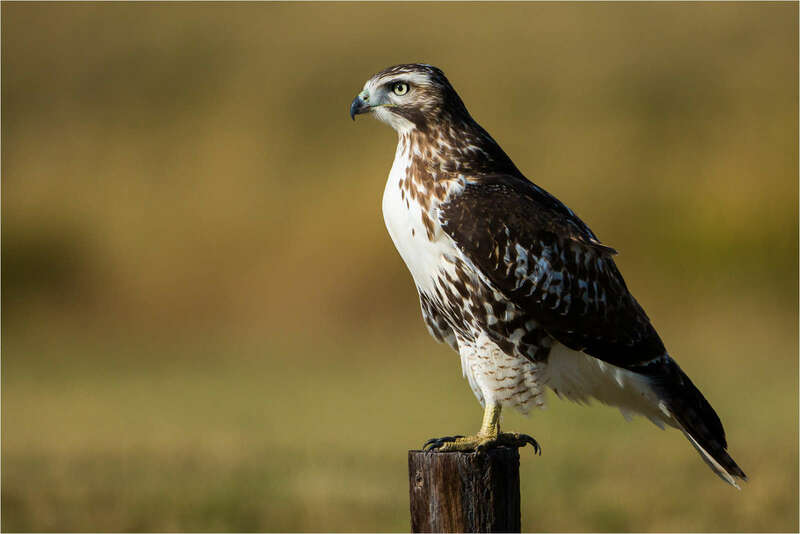 This Red-tailed hawk, one of the light morphs, was absolutely beautiful. 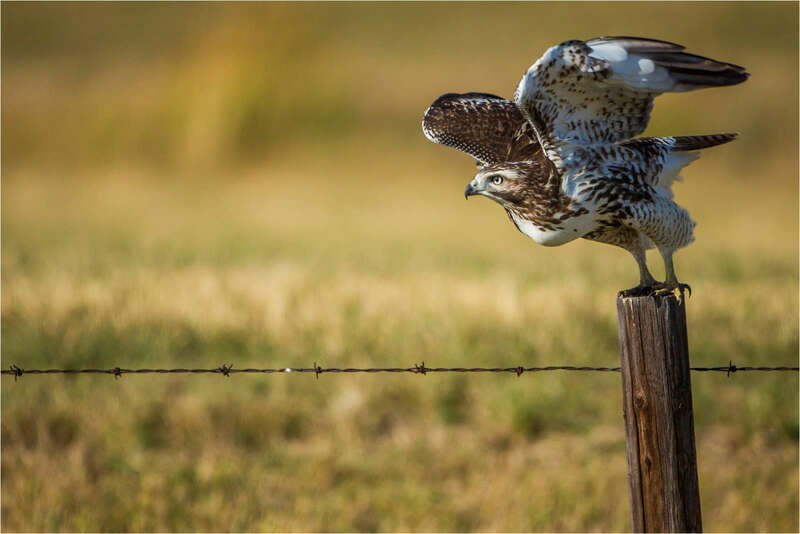 It flew between a couple of posts before launching out across the meadows.